When you live in northwest Iowa, you’re going to have snow during the winter. There might not be snow all the time; there might not be deep snow; but you’re going to have snow. 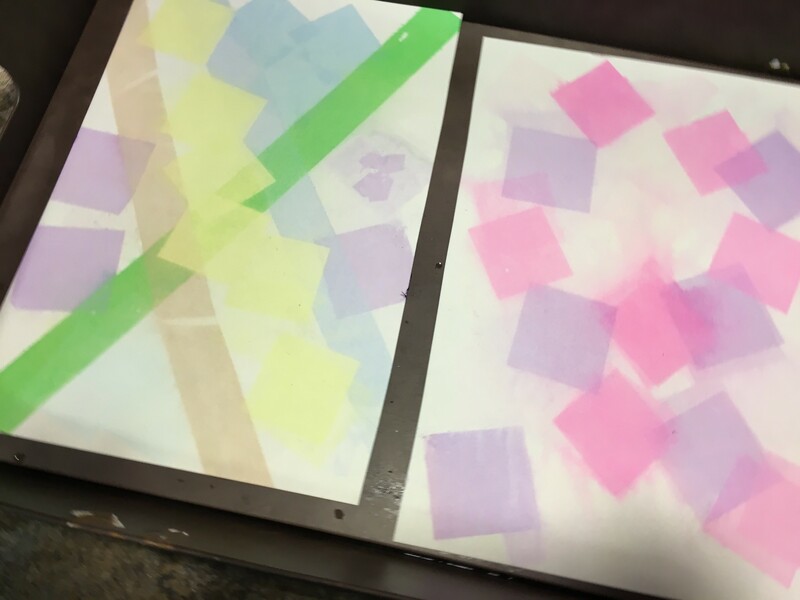 Begin with squares or strips of tissue paper and place them in any design on a sheet of paper on a metal tray. Head outside for a bowl full of snow, and then place handfuls of snow on top of your design. 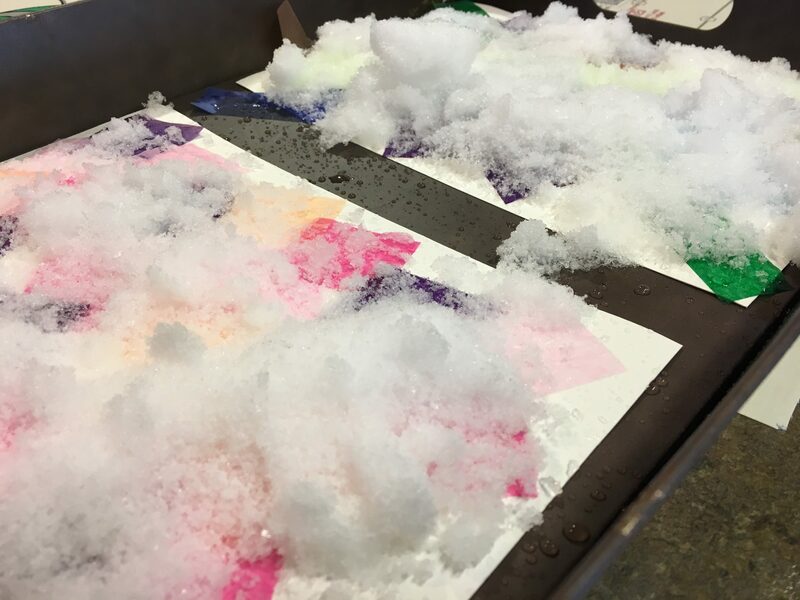 Let the snow melt, and then let everything dry — it’s probably best to do the project in the afternoon and then just let it dry overnight. 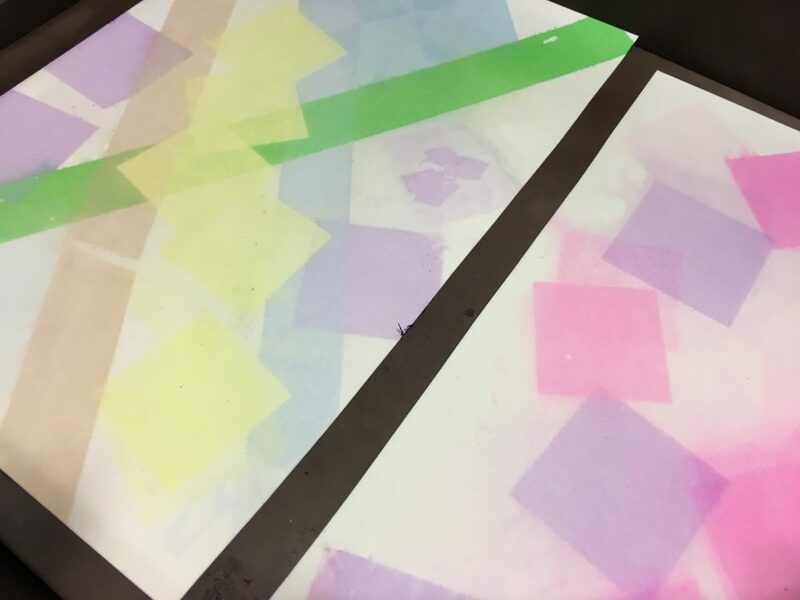 Peel off the pieces of tissue paper to reveal how the color has soaked through to the paper below! 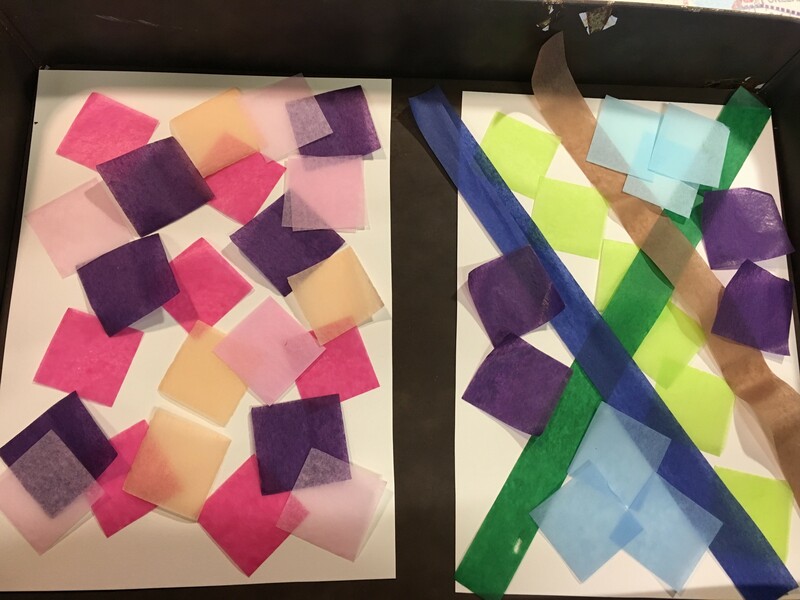 If you have bleeding tissue paper, the colors will definitely bleed together into a different design than if you have regular tissue paper. If you don’t have snow, simply use a spray bottle to wet your tissue paper completely and then let dry as above. Hang your beautiful snow creations!